Seriously???!!! | Do We Love It? If you need me I will be at the hospital recovering from a ruptured brain aneurysm for the remainder of the week. This entry was posted on Monday, November 7th, 2011 at 10:40 am	and posted in Uncategorized. You can follow any responses to this entry through the RSS 2.0 feed. « Shearling-Lined Bean Boots by L.L. Bean – do we love them? Eww! 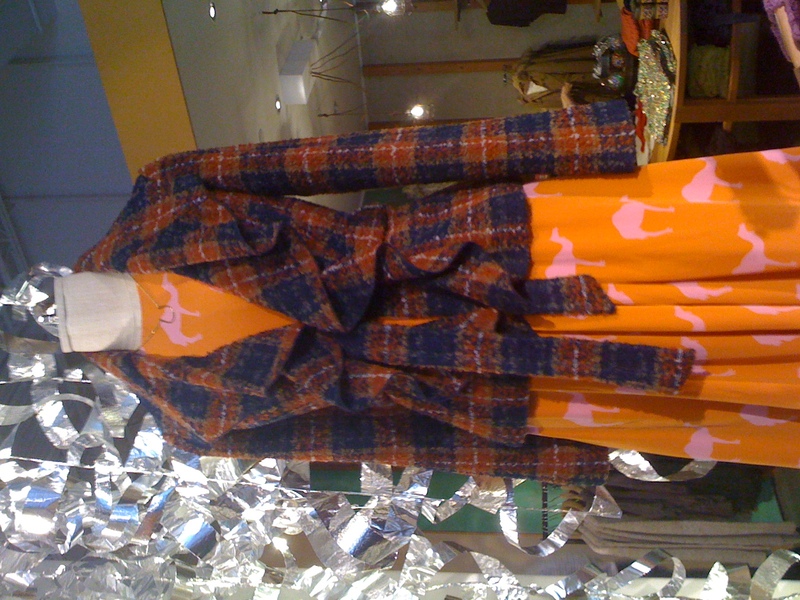 The camel dress with an Auburn jacket!?! I think I just threw up in my mouth a little. Too damn funny…..I think I’m queasy too! !